Caption slip reads: "Photographer: Olmo. Date: 1951-09-18. Reporter: Baker. 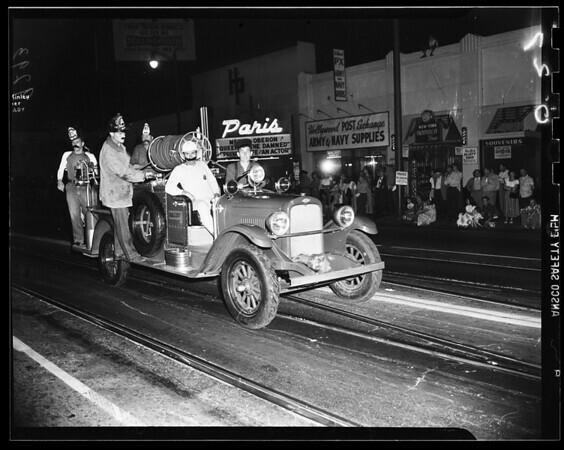 Assignment: Firemen's Parade. 23: 1909 La France "steamer" drawn by 3 white horses. 26: El Segundo Fire Dept. puts out 'fire.' 24: Firehouse 5 plus 2. 25: Betty Haring Indians. 27: Malibu Fire Dept".